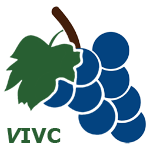 The catalogue has been established within the European Project GrapeGen06 . Detailed information is to be found in the publication below. Annex 1A: list of the grape varieties registered in the Member States of EU, and the official names of registration in each country concerned. Annex 1B: same list for EU members and third countries partner in GrapeGen06 program. Annex 2A: index of the official names of grape varieties registered in the Member States of EU, and their common 'prime name' according to VIVC. Annex 2B: same index for EU members and third countries partners of GrapeGen06 program. Annex 3A: official national catalogues of grape varieties for each Member State of the EU. Annex 3B: same official national catalogues of grape varieties for EU members and third countries partners of GrapeGen06 program. In addition to the annexes of the publication above (2011), the National Calalogues are continuously updated. The search tool below allows to find the updated information provided by the GrapeGen06 partners.